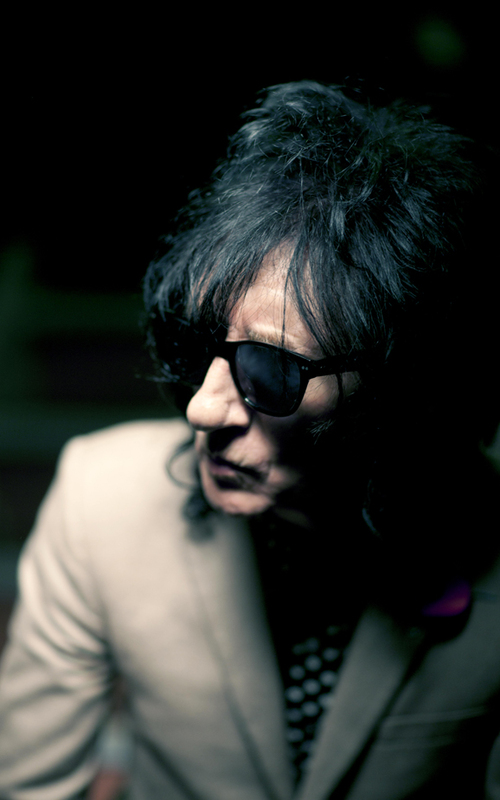 Shooting to prominence in the 1970’s as the original ‘people’s poet’, Dr John Cooper Clarke’s career has spanned cultures, audiences, art forms and continents. His latest show, which is touring across the UK and Europe, is a mix of classic verse, new material, hilarious commentary on modern life, good honest comedy gags and riffs. He’ll be bringing his latest tour to Worthing’s Assembly Hall along with special guests from the poetry world on Tuesday 28th November. Today, John Cooper Clarke is as relevant and vibrant as ever, and his influence just as visible on today’s pop culture. Aside from his trademark ‘look’ continuing to resonate with fashionistas young and old, and his poetry included on national curriculum syllabus, his effect on modern music is huge. His influence can be heard within the keen social observations of the Arctic Monkeys and Plan B. These collaborations mean that John has been involved in 2 global number 1 albums in the last 2 years – with The Arctic Monkeys putting one of John’s best loved poems, I Wanna Be Yours, to music on their critically acclaimed A:M Album. His special guests for the evening are writers and performers Toria Garbutt, Luke Wright and Mike Garry. Toria Garbutt is a spoken word artist from Knottingley – a former mining town in West Yorkshire. From as young as 9 she kept a diary, and wrote poetry in parallel by way of navigating an alternative path through the world. Her resulting début album Hot Plastic Moon is a visceral and engaging collection of confessional, observational and character based punk poetry. With a punk heritage, a staccato heartbeat and a unique flair for storytelling, her work is brutally honest yet breathtakingly beautiful. Flamboyant, political and riotously funny, Luke Wright creates inventive poems with loads of heart. Part Essex wide boy, part dandy fop, he writes from the sidelines about small-town tragedies and national farce, then performs his work with snarl and spit. He’s won a 4Talent Award, a Stage Award, a Fringe First Award, a Saboteur Award, and and NFBC short film competition at the 2010 Cannes Film Festival. He’s been shortlisted for an East Anglian Book Award, an Off-West End Award, and an Amused Moose Award. Mike Garry was a librarian for 15 years before becoming a poet. He began by reading his own poems to the hundreds of young people who attended his Library Homework Centre. They loved what they heard and encouraged him to perform them at live poetry events and Slams, which he did, instantly winning fans and prizes throughout the UK. Mike has worked in thousands of schools and his three books, Men’s Morning, Mancunian Meander and God is a Manc have become schemes of work in schools throughout the UK and his poetry is regularly heard on BBC Radio and TV. Tickets are priced at £21 and are available to purchase from the Worthing Theatres box office on 01903 206 206 and online at worthingtheatres.co.uk.